RIO GRANDE RIVER VALLEY, NEAR ALBUQUERQUE - 0% Terms! BIG VIEWS--VERY CLOSE TO THE MOUNTAINS!! 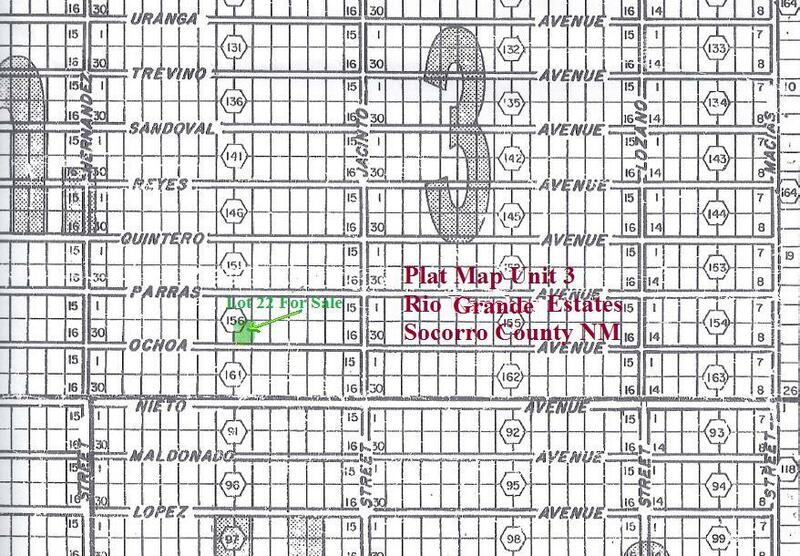 Rio Grande Estates is described as beautiful, peaceful and it is located right in the heart of the sun belt. Several nice golf courses are located within the Rio Granda area and Otaka International, Inc., is in the process of developing an 18-hole championship golf course right in Rio Grande Estates area. Education and modern technology at New Mexico Institute of Mining and Technology rates in the top 10 of the US. for entertainment, the International Space Hall of Fame and the Space Center at Alamogordo will fascinate everyone in the family from the very young to the retiree. The Sport of Kings-horseracing- can be found at beautiful Ruidoso Downs with complete facilities for a full day at the races. Right in the Socorro can be found the San Miguel Mission and a newly renovated Val Verde Hotel, which is now filled with small shops and restaurants. As a retirement property, Rio Grande Estates is almost perfect, with excellent long term investment potential. 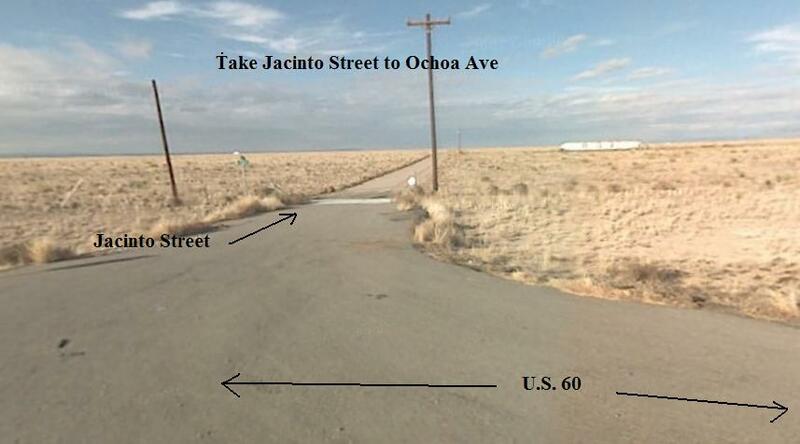 1 Acre Lot located southeast of Albuquerque, New Mexico in Socorro County. 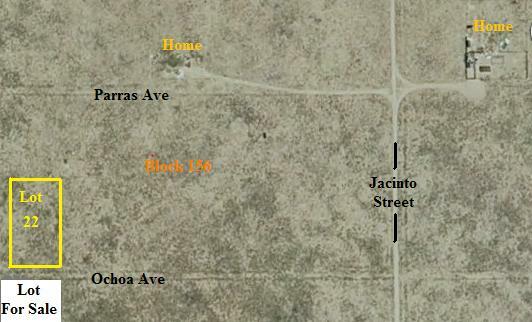 This Lot Is In The "RIO GRANDE ESTATES" and is conveniently located near Jacinto Street which connects to U.S. Hwy 60. The Lot is Approx 180 Feet Wide by 242 Feet Deep. There is maintained county road frontage into this Subdivision. Every parcel has legal access on platted road frontage and these roads were all graded in several years ago. With little or no traffic since then, most of these roads will need a little cleaning. 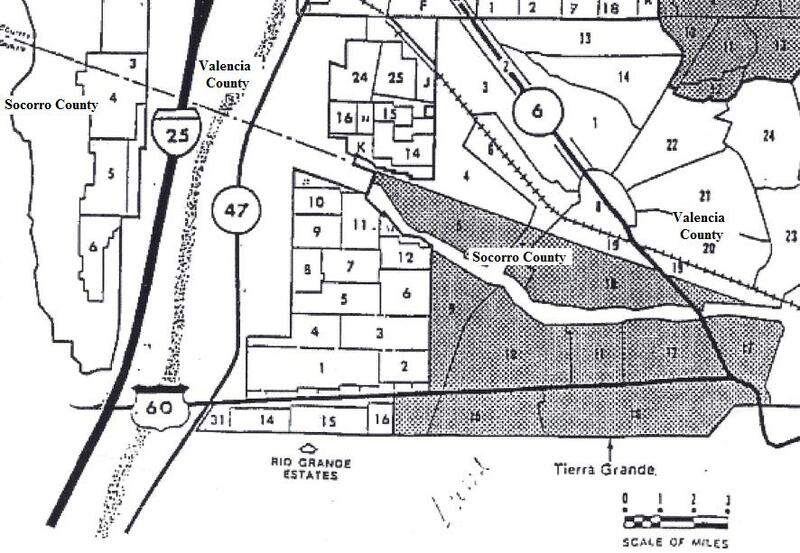 Every property was surveyed and pinned when the subdivision was laid out and approved, although these markers may not all be visable today. These lots will all have Great Sites with Excellent Views. This makes for a great investment for that dream house. There are no time restrictions on when to build, there are no requirements that you must build, and there are no association fees. There are utilities in the general area, but not to the property yet. In the mean time you can use a generator or go wind or solar. Cell phones are normal. Water would be by well. Sewer would be by septic - when you build. Taxes are less than $29 per year and are current. Title is free and clear. The Rio Grande Estates is a very large Under-Developed Community. The main population of the area is along the I-25 corridor and the Rio Grande River. The Rio Communities lie to the east of this main corridor. There are scattered subdivisions throughout this area and there are other areas of no development. There are many nice homes in the already developed areas. This property is in one of the more Remote Subdivisions and has Excellent Views of the Very Massive "Manzano Mountains". You Will Only be a Couple of Miles From the Rio Communities Development Area where there are Shopping Centers, Busineses, Churches, Schools, a Senior Center, and Many Homes. You will be only a few miles from the TIERRA DEL SOL COUNTRY CLUB AND GOLF COURSE! Property is level to rolling with native grasses. There are stunning views in every direction. Immediately to the east the MANZANO MOUNTAINS tower over 10,000 feet offering breathtaking views of the Rockies. There are several National Forest and Wilderness areas within a short drive. They offer an incredible variety of outdoor activities such as mountain bike riding, hiking, camping, hunting, fishing, canoeing, snow skiing, horseback riding, ATV riding, site seeing, and just relaxing. 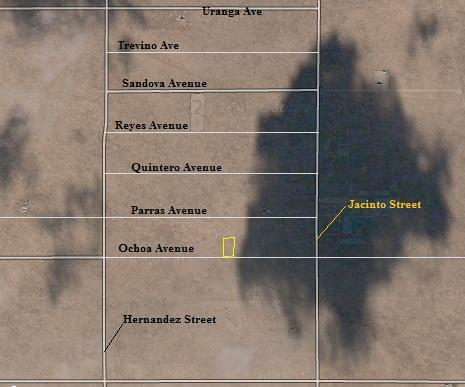 The Sevilleta Wildlife Refuge is about 22 blocks away. The Belen area has a Walmart Super Center, IGA Grocery, Staples, Senior Center, Museum, The UNIVERSITY OF NEW MEXICO - VALENCIA CAMPUS, as well as the normal array of schools, churches, health care, etc. With convenient access to Interstate 25, all other amenities are just a short drive away in ALBUQUERQUE. The very next exit north on Interstate 25 has another Super Walmart as well as Walmart's Central Distribution Center for the entire state. On up I-25 is Albuquerque, which is the Largest City in New Mexico, and is home to the ANNUAL INTERNATIONAL BALLOON FIESTA. There is a large Resort and Casino in Isleta that is just a 25 minute ride away. The Regional Transportation District has announced THE COMPLETION OF THE NEW PASSENGER RAIL SYSTEM. This system links the Belen / Los Lunas area directly with Albuquerque. Residents are able to live in the Belen area and work in Albuquerque, and commute on this light rail system. The Rail System has been extended to the State Capitol of Santa Fe. Elevation of 5000 Feet makes for near perfect temperatures year round. The summer highs are in the 80's & 90's with the winter highs in the 50's. There are about 350 Sun Days per year making this area "The Sunniest in the Country". Come see why New Mexico is Known as "THE LAND OF ENCHANTMENT". DISCLAIMER: Most of my land was bought site unseen. I have not been to the property unless otherwise noted. This New Mexico Investment Property is being sold in the Exact Same Physical Condition as the day I purchased it. 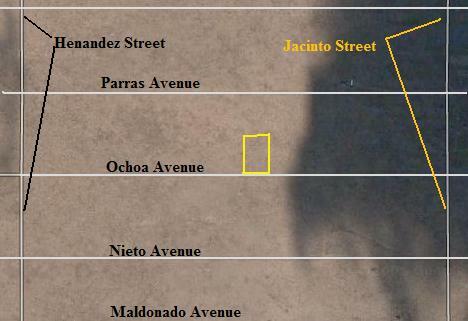 All information in this Listing has come from reliable sources such as the Socorro County Property Appraiser, Tax Assessors Office, Socorro County Clerks Office, New Mexoco, & Other Governmental Agencies. Every effort is done to provide as much information about the parcels listed. Please ask all questions prior to bidding or entering into a contract. By placing your first bid and / or winning an auction or entering into a contract you are admitting sufficient knowledge of all of the rules, regulations and laws surrounding the purchase of this Investment Property and you will hold the seller harmless for any lack of your Research, Due Diligence or Anything Else not Specifically Guaranteed to you by the seller within this Listing Contract for the absolute sale of this Property between the Buyer and this seller. The American Dream "Land Ownership"
Properties are for sale by owner. We are not a real estate agent.